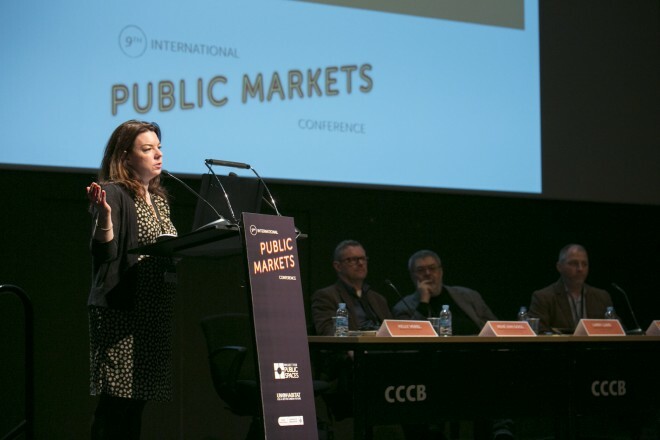 This year’s 9th International Public Markets Conference in Barcelona has been a tremendous success! After an exciting three days learning from and inspiring each other, we captured the collective voice of the meeting’s 425 participants—representing 45 countries and 119 cities—in a Conference Declaration designed to highlight the value of public markets and their need for increased funding and policy recognition at all levels. The next two years, 2015 and 2016, will see major new global policy developments, and strong public market systems linking urban and rural communities need to be included in these conversations. For this reason, it is more important than ever that we advocate for the integration of markets in the policy frameworks of our respective city, regional, and national governments. As critical public spaces that enable daily exchange between local buyers and producers, public markets -- whether publicly or privately operated -- have important cultural and historical legacies that we must strive to protect, strengthen, and expand. Unlike other forms of commercial enterprise, public markets are operated by and for the public, and add great value to the economic, social, physical, and environmental health of the communities they serve. The daily commercial exchange that forms the heart of public market systems—from temporary markets and street vendors to open air markets and entire urban districts—offers powerful opportunities for transforming cities and regions across the globe into thriving, sustainable, and socially cohesive places. In the face of the rapid urbanization of the 21st century, the ability of public markets to generate critical rural-urban linkages, and to drive local and regional employment and economic development, is especially important for the newly urbanizing regions of the global south. With 43 permanent markets and a wealth of indoor and outdoor market activity, our host city of Barcelona is an exemplary “Market City”—every resident is within walking distance to a market, and public markets are central to the character and resilience of each neighborhood. Today, despite their long history and numerous benefits, public markets face serious challenges due to insufficient recognition in policy, research, and funding. Many cities do not have appropriate policies or resources to invest in basic maintenance and sanitation, to expand or create new markets, or to manage public spaces effectively to integrate market activity. Other public markets have been devastated by war, demolished or displaced for new development, or allowed to deteriorate as local public authorities have favored the development of large supermarkets and shopping malls. Centers of neighborhoods, animating streets, squares, and other public spaces that spur community renewal and broadly stimulate economic activity. 2. Promote the inclusion of public markets into the political agendas and policy frameworks of our respective city, regional, state, and national governments. This will lead to increased investments in markets for greater organizational and management capacity, improved physical infrastructure and public spaces, and programs to optimize the benefits of markets, especially for marginal and at-risk populations. 3. Advocate for the strategic integration of public markets into the new global development agenda. In the next two years, as the world community adopts new policies for sustainable urban development, equitable food systems, and widespread poverty alleviation, public markets should be recognized as a proven and forward-looking strategy that can be implemented and adapted in multiple regional contexts. These ambitious goals can be achieved by enabling policy support, public-private collaborations, integrated networks of public market practitioners and advocates, city-to-city cooperation, broad-based information sharing, and local grassroots action in markets and communities around the world.